TMJ stands for temporo-mandibular joint which is your jaw joint. What is the TMJ? 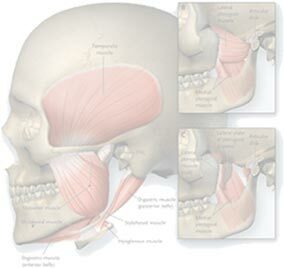 Learn more about the TMJ The temporo-mandibular joint is formed by the mandible or jaw bone. The TMJ or jaw is a common area that can become injured or sprained causing jaw pain or ache, face pain, ear pain, neck pain or headaches. This commonly occurs due to clenching or grinding (bruxing) of the teeth due to stress. TMJ disorder and facial pain is a common, sometimes very disconcerting problem experienced by many people. It can be a complex problem with many contributing factors. Headaches are a very common symptom affecting millions of people every day. 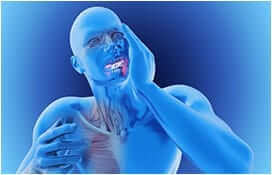 People suffering from TMJ Disorder (TMD) often experience headache felt in the temple area and around the ear. 37 year old male with one month history of left sided jaw pain and headache. Our Multifaceted Approach: Treatment Of TMJ disorder is a condition that is commonly overlooked and generally not comprehensively managed. Facial pain can be confronting, distracting and hamper your ability to function normally. Facial pain can be caused by a number of structures. Experiencing pain in the jaw, face or ear can be a very confronting feeling and often one that causes severe stress for sufferers. Problems associated with the TMJ (jaw joint) and face are often complex and pose a real challenge for the medical, dental and manual therapy professions. If left to worsen, TMJ disorders can seriously affect your quality of life, preventing you from enjoying daily function and normal jaw movement. At Melbourne TMJ & Facial Pain Centre, we frequently have patients who have been treated before by many different types of Dentists, Doctors or Therapists but feel like they are not improving. If this sounds like you, then you can rest assured that we understand your frustrations and are here to help. 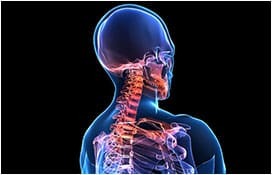 As Physiotherapists with over 24 years of experience assisting people like you, we know what we can do to help you, being the leading TMJ Physiotherapists for treatment in Armadale, Melbourne. Our experience with these types of conditions also assists us to make appropriate referrals where necessary to a trusted group of Dental and other Specialists who are also experienced managing TMJ conditions. Our practice is the local to residents throughout Melbourne seeking TMJ treatment, including Armadale, Prahran, Caulfield, South Yarra and well beyond! In-fact many patients travel across the state to seek our help. Common signs of a TMJ disorder include jaw pain, stiffness, clicking and locking. 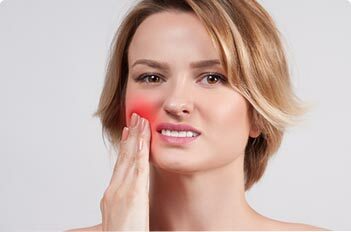 Melbourne residents seeking relief from these painful symptoms should look no further than Melbourne TMJ & Facial Pain Centre. A clicking jaw that becomes louder, more painful or feels like it’s beginning to cause jaw locking (with restricted opening), should been seen urgently. Jaw joints that are locked closed so you can only open 2 fingers width (“closed lock”), can become adaptively locked if not unlocked within a maximum of 2-week window. If this describes your symptoms then please call us on 03 9824 8868 TODAY to book an appointment. Often, these symptoms are triggered by clenching your jaw or grinding your teeth (bruxism), which is more likely to happen if you experience a lot of stress. Those experiencing worrisome symptoms such as jaw pain, clicking, locking or stiffness can visit our Armadale clinic for tailored treatment programs, hands-on manual therapy, helpful self-management exercises and appropriate referrals. Another confronting symptom many suffer from is face pain or sinus type pain. There can be a variety of causes for these symptoms, one of which is pain from musculo-skeletal structures. This can be the result of trauma to the neck or face or may appear for no known reason. Melbourne's Armadale and surrounding suburbs residents experiencing headaches, facial soreness, sinus type pain should seek prompt treatment from Melbourne TMJ & Facial Pain Centre as face pain can become debilitating if left to worsen. 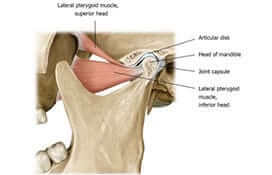 Symptoms of face or sinus type pain can respond well to very specific physiotherapy techniques when the cause of the pain is musculo-skeletal. Treatment is gentle and non-invasive and includes educating you on how you can assist yourself. We work closely with GP's, Dental Specialists and ENTs (Ear Nose & Throat Specialists) who refer patients to us for treatment when other sources of the pain have been ruled-out. We are results focused and expect that if treatment is going to be helpful it will usually do so within the first few sessions. Don't Delay CALL 03 98248868 today to arrange an appointment. Jaw pain (TMD) and other associated symptoms usually respond well to very specific physiotherapy treatment, which is sole area of our professional focus. 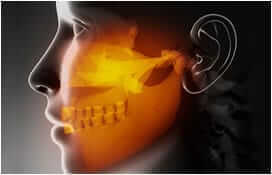 Snoring and Sleep Apnoea can be associated with Jaw and Face Pain and should not be ignored. Our experienced team Dentists can assist if required to comprehensively assess and treat these conditions. We provide safe, clinically effective, non-invasive treatment options for TMD, Facial Pain, Snoring and Sleep Apnoea. We are members of leading industry associations and stay current with the latest research. Our treatment methods are extremely professional and our support staff always go the extra mile to ensure your experience is always a positive one.